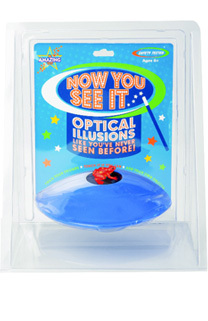 Using this amazing device you can make any small object seem to appear out of thin air. You think it's there, but it's not! Through the magic of mirrors and reflection, you can create a ghost-like image that seems to hover in the air, yet no one can pick it up. Houder voor spectraalbuizen met een diameter van 6 mm. De onderste houder is verend opgehangen en klemt de gasontladingslamp vast. Geschikt voor buizen met een lengte tussen 224 tot 299 mm en een maximum diameter van 16 mm. Zelfregulerende spanning tot 6 kV. Stroomsterkte is instelbaar van 2 tot 6 mA. These tubes are ideal for studying the spectra of better known gases in their pure form and for wavelength determination. 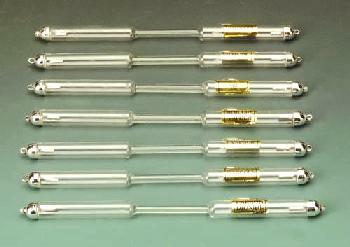 An electrode is sealed in each end and attached to a metal end cap with a loop for convenient hookup to wire connections. Spectrum tube assemblies can be used in a variety of spectroscopic applications. When observed through a spectroscope the emission lines corresponding to the energy transition levels of the gaseous atoms or molecules will appear as distinct components. 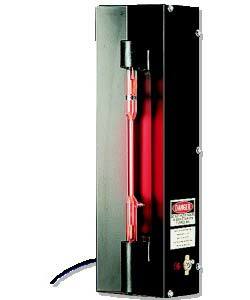 These research grade tubes are specially designed to provide optimum intensity and line resolution. Recommended for use with our Spectrum Tube Power Supply.